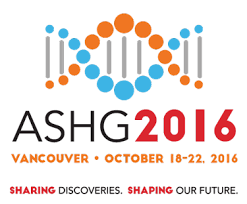 At DNAnexus we always look forward to attending the American Society of Human Genetics (ASHG) annual meeting. It’s the world’s largest genetics meeting and this year it’s held in the quintessential coastal seaport of Vancouver, BC. This meeting always delivers by showcasing cutting edge science in the genetics and genomics industry. Stop by the DNAnexus booth (#100) to demo the latest platform features, hear about new research applications the DNAnexus Platform is supporting, and join our lunchtime discussion to learn how DNAnexus has created the global network for genomics – and what that means for you. The lunchtime discussion, The Rise of the Genomics Network, will highlight the need for improved approaches to data integration, scalability, and global collaboration within the genomics industry. In clinical genomics, pipelines need to be reliable, assembled quickly, and integrate with existing processes. During this lunch hour, the DNAnexus Team will explore how customers use the DNAnexus Platform to construct and deploy end-to-end solutions for health data networks. Ebola viral sequencing onsite, and more. The DNAnexus Platform is leveraged in a variety of research applications. Poster #655W: GWAS to 30X genomes: Evolution of sequencing in the ARIC cohort to reveal the genetic architecture of complex traits. Poster #1885W: High-throughput clinical reporting of gene panels with the Neptune Pipeline. Poster #1309W: EHR data illuminates patient subtypes in obstructive lung diseases yielding new insights for genetic discovery. Poster #3247W: Enhanced screening performance of a SNP-based NIPT for five clinically significant microdeletions in a large clinical cohort. Poster #1315W: Disease associations of common and rare calcium sensing receptor variants in the 50K DiscovEHR cohort. Poster #682W: Exome-wide association analysis of cardiac structural traits in large healthcare provider organization identifies genetic heterogeneity underlying left ventricular structure and overlapping genetic architecture with cardiomyopathy genes. Poster #2638W: Penetrance in the EHR record of 76 DiscovEHR Cohort participants with two recurrent pathogenic variants. Poster #1775T: Structural variant calling combining Illumino and low-coverage PacBio. Poster #1205T: Exome sequencing in DiscovEHR identifies rare variants in anion transporter genes that exert large effects on uric acid levels and gout. Poster #2099T: The role of the ENCODE Data Coordination Center. Poster #1790T: The eMERGE Network: Continuing the legacy of genomic discovery to enrich precision medicine. Poster #512T: Trajectory of new variants requiring pathogenicity assessment as potential secondary findings across 50,000 exomes in the DiscovEHR cohort. Poster #2102T: Integrated metadata-driven access of ENCODE, modENCODE, REMC, GGR and modERN data through a common portal. Poster #1626F: Discovery and replication of rare variant associations using a knowledge-driven PheWas approach in eMERGE and Geisinger Health System. 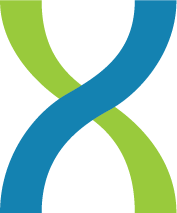 Poster #1764F: The ENCODE analysis pipelines: Repeatable and shareable analysis tools for ChIP-seq, RNA-seq, DNase-seq, and whole genome bisulfite experiments. Poster #510F: A phenome-wide gene burden analysis to identify DrugBank genes associated with patient diagnoses.